We raised £470 for Macmillan! Thank you to everyone who attended our 2nd Birthday celebrations back in August - we raised £470 for Macmillan Cancer Trust and it was such a brilliant day! We had a pole dance performance from Colleyna (who came 3rd at the Midlands Pole Champs), an aerial silks performance from Faye, an aerial hoop performance from Liz, an aerial hoop doubles performance from Hannah and Vicki and an aerial cube performance from Lauren Red. Everyone had fun playing, eating cake and generally giving everything a go. It was amazing to have such a great day and then learn that we raised so much for such a great cause. 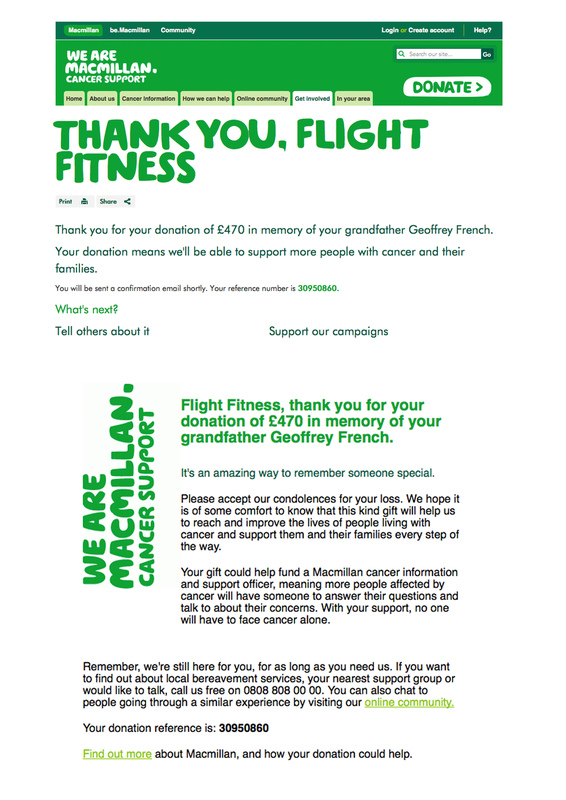 I made the donation out to my Grandfather Geoffrey French who passed away from lung cancer. Macmillan do such great work across a range of situations, I really believe in what they do. New January Beginner’s Pole Dance Courses! Sarah Scott Workshops Were Amazing! Jamie Taylor Workshops in May! 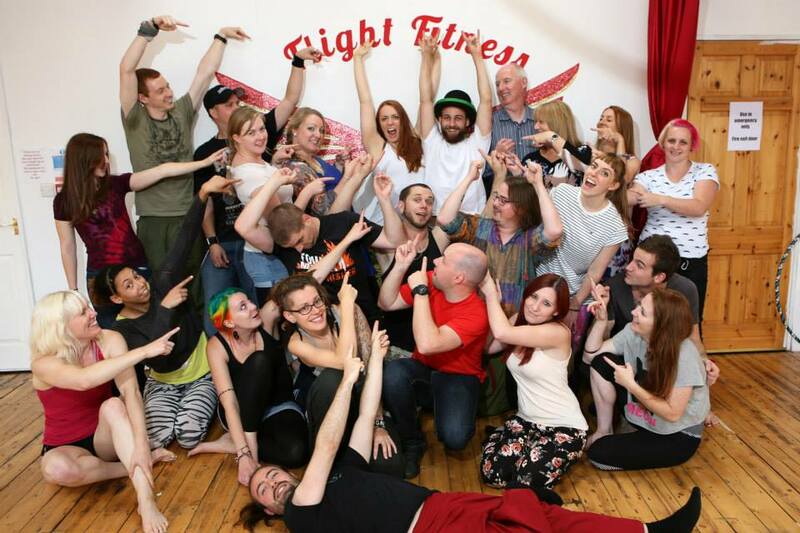 Sarah Scott Workshops here at Flight Fitness!